Hard surface flooring# is a huge issue in strata schemes. 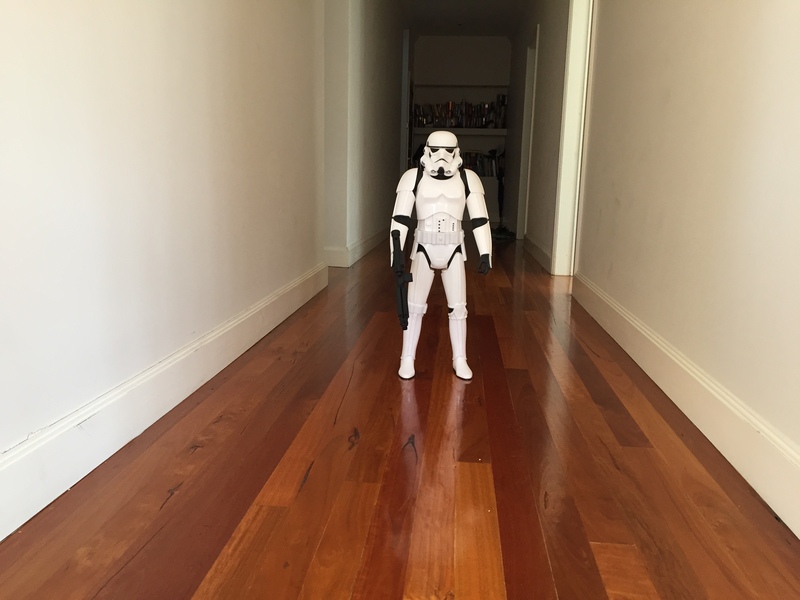 As someone that has timber floorboards, I see the appeal but as someone who has had Stompy the elephant (or on occasions it sounded like a legion of stormtroopers) living upstairs I too have felt the pain. If a building is not originally built with hard surface floors then it is very likely that installing hard surface flooring will cause acoustic issues for the units below and beside. Hard surface flooring often allows increased transmission of noise whether general noise such as TV’s, conversations, or even occupants walking through their units. Hard surface flooring can also cause drumminess when walked on or creaking noises as the flooring expands and contracts. All of these can seriously affect other lot owners or occupiers. Noise transmission can be addressed but often isn’t with affected lot owners seen as complainers and their concerns sidelined. How can you address noise issues or enforce compliance with by-laws? First, address it before it becomes an issue. Installing hard surface flooring requires an authorising by-law. I recommend that the by-law set strict standards of any new flooring system. For instance, I recommend that the by-law references the star rating system set out in the Guidelines for Apartments and Townhouses published by the Australia Association of Acoustic Consultants (a copy of which can be downloaded from http://www.aaac.org.au/au/aaac/downloads.aspx). Typically, I suggest that any new floor must meet the four star rating once installed. I also recommend that the owners corporation be given rights to enter the lot to remedy a breach of the authorising by-law should the lot owner refuse to do so. Then, if once installed the flooring does not meet this standard the owners corporation is authorised to do so. Secondly, if noise continues to be an issue or, if the owners corporation wants to force the lot owner to do something to fix the issue, then the owners corporation or the affected lot owner should consider taking an action in the NSW Civil & Administrative Tribunal. Model by-law 14 requires floors be treated sufficient to prevent noise transmission that would affect the peaceful enjoyment of their properties by other lot owners or occupiers. This means that there are at least two options. The owners corporation can seek to enforce its by-laws by issuing Notices to Comply and then, if the issue reoccurs, to seek penalty orders. For more information on by-law enforcement see my previous blog on By-laws and Rules. An affected lot owner may also take NCAT action seeking orders that model by-law 14 has been breached. In an NCAT application, it is important to be able to prove that the noise being transmitted is more than “normal”. In one instance, Member Moore stated that the noise transmitted must be more than the inevitable intrusions arising from living in close contact with others. What is “more” will depend on the case. Whether placing rugs on hard surface floors is an appropriate measure to minimise noise transmission will also depends on the individual situation and legal advice should be taken if you have a noise transmission issue. # When I say hard surface flooring I include floating timber floors, tiles and polished concrete floors. ← Decision Making in an Owners Corporations: How are decisions made? Informally over coffee or in accordance with legislation?